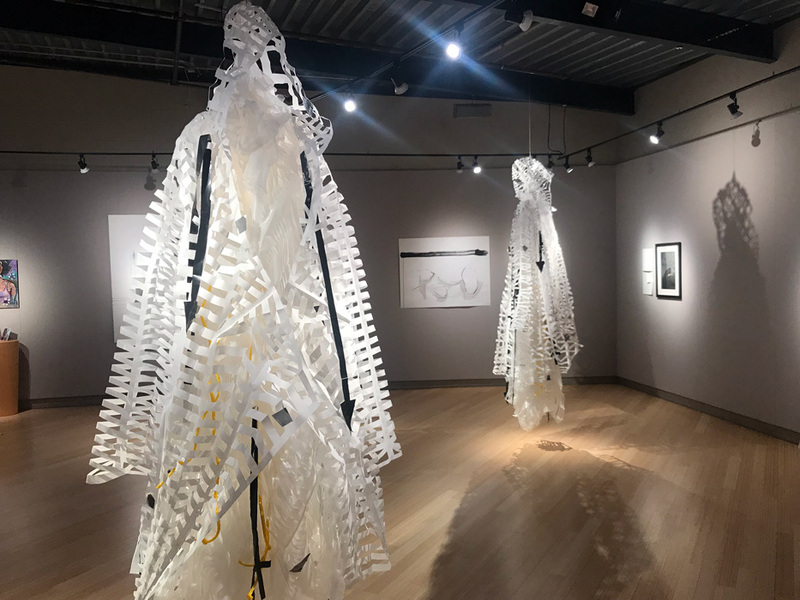 Fearless in their honesty, the six artists in “Colla Voce: Follow the Solo Voice” at the Carter Art Center articulate a collective conversation about life’s limitations and constraints. Through sorrow, humor, silence, beauty and power, they share discoveries about creating more autonomous definitions of self. 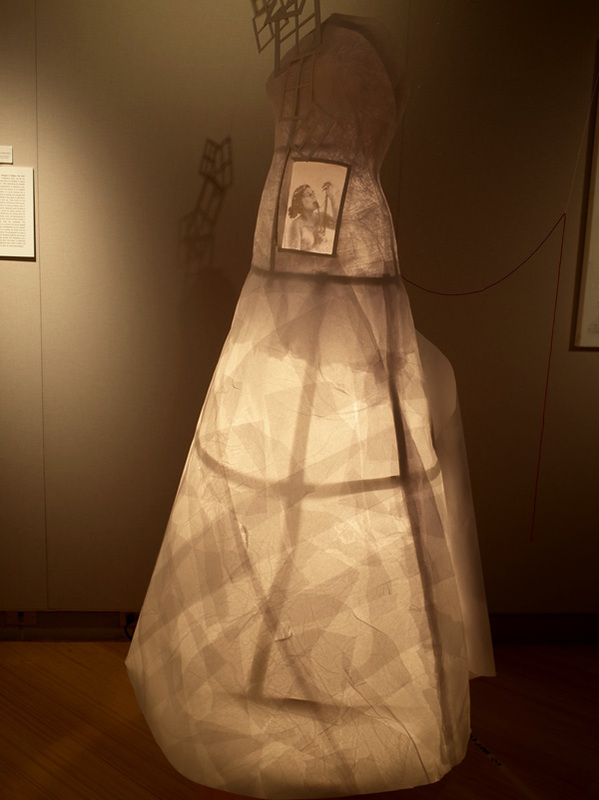 For some, the work in this exhibit represents a continuum of past explorations; for others, it is a departure. In her acrylic, oil and sumi ink paintings, Maria Vasquez Boyd abandons color to return to her roots in black and white. “Iris Cactus Root,” exemplifies her use of minimal lines and gestures in spirit-focused works that take sensory inspiration from music, poetry, incense, healing herbs and botanical objects. “What am I trying to convey can be said with fewer strokes. I discovered what is important to me is less,” said the artist. 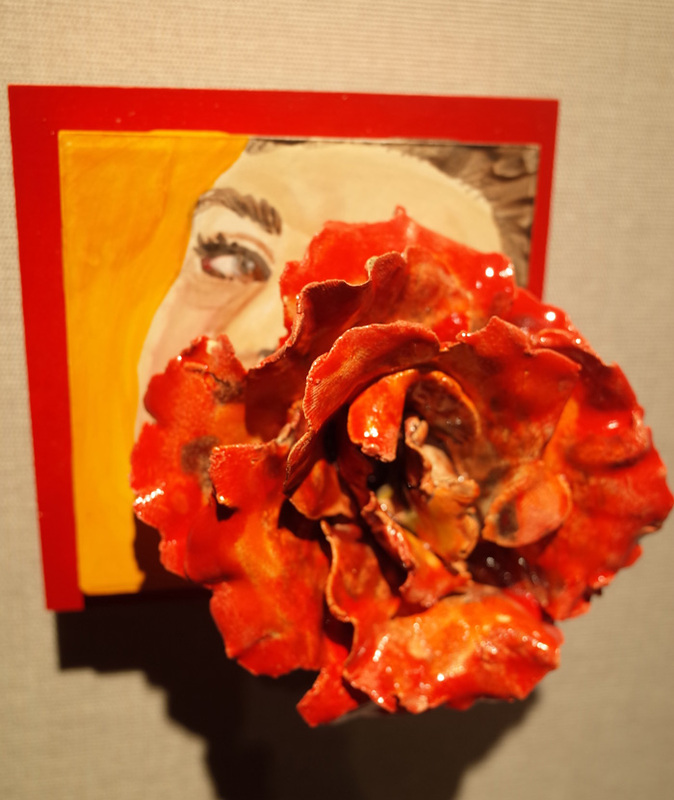 In contrast, Bernadette E. Torres’ ceramic sculptures, such as “The Other Side of Her Life,” are a continuation of her ongoing autobiographical exploration of the female figure and her love of flowers. Torres says that, though the themes remain constant, her work takes on new life through new experiences and emotions. “(My art) parallels my life journey and is defined by how I grow and change,” Torres says. Kathryne Husk’s photographs also represent an ongoing creative exploration, responding to the discrimination, marginalization and misunderstanding of queer people and those with disabilities—all of which are compounded when one is both. “All of my works are linked together with a common narrative of pain and abandonment, represented through the solitary figure in each piece,” the artist says. Images such as “Weak and Weary” and “Never” draw from fairy tales, mythology and nature, as well as the experiences as a non-binary trans disabled person. 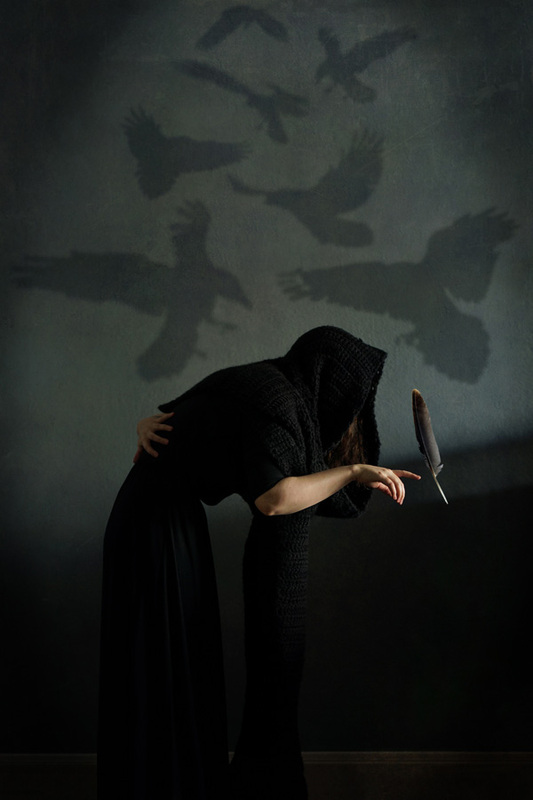 Written statements accompany the images and provide poignant insight into the work. Award-winning performing artist Annie Cherry merges burlesque and bawdy comedy in performances that address themes of marginalization and misunderstanding, as well as ideas about the female body, sacred sexuality and the struggles of working artists. A founder of the Bohemian Cult Revival performance art collective, Cherry specializes in immersive theatrical experiences intended to both provoke and entertain. Three of her video performances are on view in the show. Spoken-word artist and published writer Natasha Ria El-Scari collaborated with Warren “Stylez” Harvey to create works that unite her written words with his paintings. Her published books of poetry, “Screaming Times” and “The Only Other,” accompany the pieces. El-Scari, a 2016 Ragdale Residency recipient, a Cave Canem fellow and an educator, brings a Black feminist approach to her creative explorations. 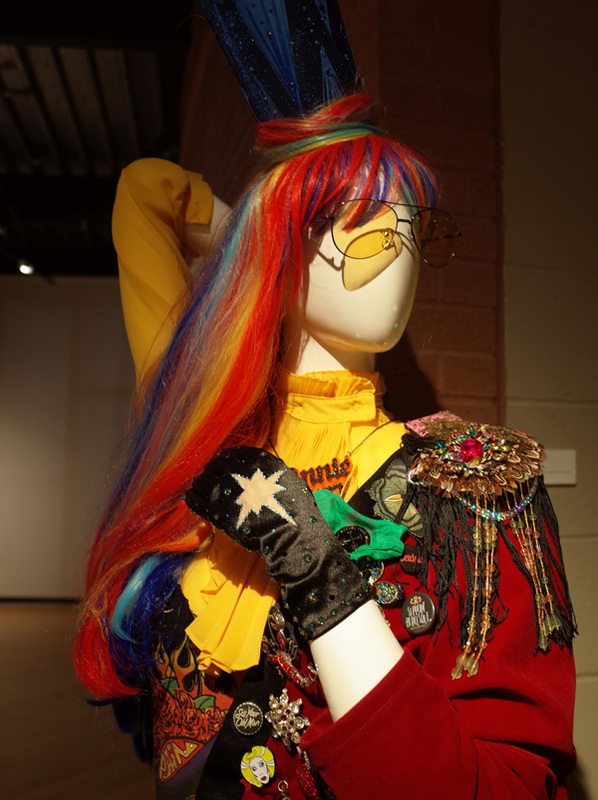 She and Harvey also own the El-Scari Harvey Art Gallery which focuses on exhibiting marginalized artists. Ari Fish’s eight-foot-tall white paper robes stand as a quiet meditation in the heart of the gallery. 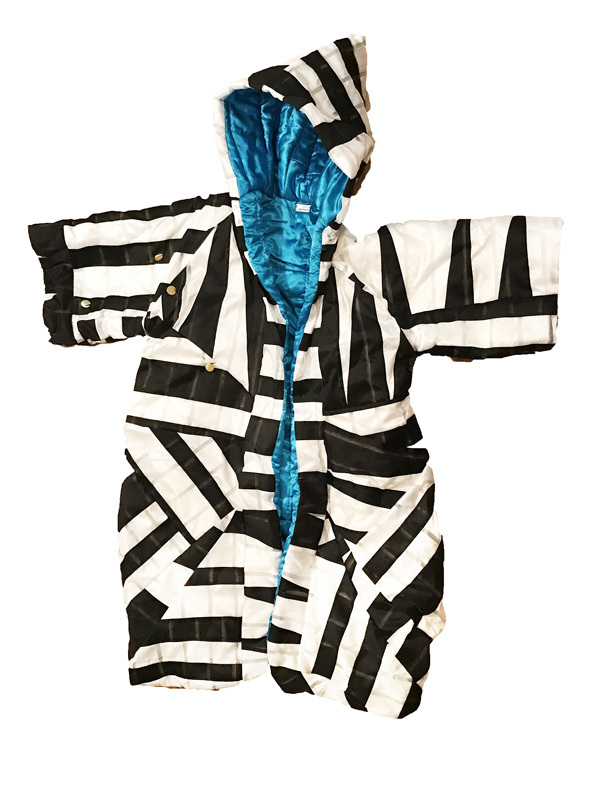 “I create spiritual works of art that are of service to people and the space they reside within,” says Fish, whose work spans media from sculpture and photography, to clothing design, drawing, writing, and multi-media installations. For this show, Fish created two large-scale installations, “As a Verb?” and “Or As a Noun? …” which integrate elements of sacred ritual, religious study and multi-sensory saturation and deprivation. 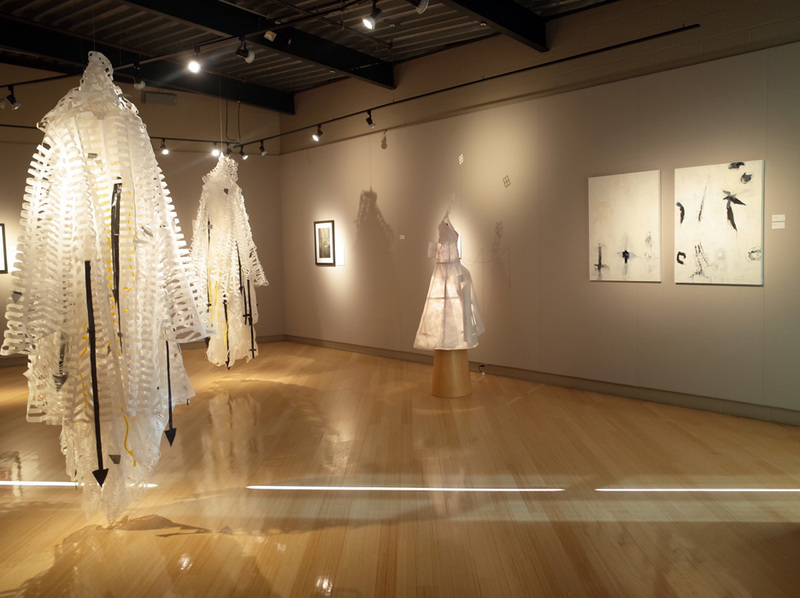 “Colla Voce: Follow the Solo Voice,” continues at Carter Art Center on the Metropolitan Community College-Penn Valley Campus, 3201 Southwest Trafficway, Kansas City, Mo through March 1. (The gallery is located on the south end of campus facing 33rd Street). Hours are 1 to 5 p.m. Tuesday-Friday; noon to 3 p.m. Saturday and 5 p.m. to 8 p.m. on First Fridays. Follow the gallery on Twitter @cartergallery for announcements about pop-up events during the exhibit. For more information, 816.604.4326 or www.mcckc.edu/pennvalley/art. Next Post Can't Buy Me Love: Kansas City Ballet's "Lady of the Camellias"